What went wrong? That was obvious. The Pens simply could not overcome the Isles’ defense-first/offense whenever strategy. Too impatient. To easily frustrated. Lehner outplayed Murray. Trotz outcoached Sullivan. 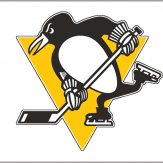 So what is next for the Pens? Regardless what some wishful thinkers will say, the core is not old...or done. At the start of the 2019-20 season, Crosby will be 32. Malkin 33. Letang 31. Schultz 29. Everyone else is early to mid 20’s. I purposely left out Kessel. I think he gets moved in the offseason even if it means quarters on the dollar. The Pens have 9 forwards, 6 defenseman and 2 goalies from the current roster under contract for next year at about $80,000,000 with the cap expected to be $83,000,000. Only Garrett Wilson is UFA. Blueger, Aston-Reese and Petteson are all RFA. Moving Kessel frees up almost $7,000,000 in cap space. That’s a lot for JR to play with to reshape the supporting cast. We have been here before and came away with two Cups. It can be done. I still think there is another 3 years in the window. Heck, Yzerman won his first Cup at 32. There isn’t much in the pipeline (they are all here) so JR will clearly need to go the trade/low-end free agent route. He’s certainly proven he can get creative. I doubt he goes "big" and moves a Letang or (gasp!) Malkin. But I'd be shocked if Kessel is here. 4 years. 2 Cups. I'll take it but time to move on (queue the tribute video). Nabicso? Oscar Meyer? Someone will if the price is low enough. We'll give Pittsburgh Jordan Greenway, a 2020 1st round pick, a 2021 2nd pick and a conditional 2022 3rd round pick. Then we'll sign him for a 7 year/$56m extension with a NMC/NTC. He will have fun joining the retirement core group with Suter, Koivu and Staal, playing golf in early April. This is the kind of attitude that all the Flyer fans on this site need. Moving on from Malkin does extend the Crosby window in that he could and will bring back the pu-pu platter of prospects and midlevel guys or like Ek (cough cough) is saying the defensive stud needed to bolster the blue line and a prospect/pick. Are they as fearsome without ol' Malkinstein swingin' the elbows and lightin' the lamp ? I don't know. Depending on the deal it can give them some cap flexibility to help bolster their NHL depth.